Harvey Doberer from Bay Rural Supplies is the authorised agent for Wide Span Sheds in Batemans Bay. A major town in the Eurobodalla Shire on the New South Wales south coast, Batemans Bay is a thriving seaside community, popular tourist destination and world-famous for their oysters. On top of supplying Wide Span Sheds to this region, Bay Rural Supplies sell a large range of other goods to rural customers including stock feed, pharmaceutical requirements and fencing. Along with a ‘can do’ attitude and industry-leading shed design software, the team at Wide Span Sheds Batemans Bay are well equipped to supply you with a high quality steel building solution. Whether you choose a design from our catalogue or have a custom design in mind, your local authorised agent can design a shed that meets your project’s criteria. As part of the Wide Span Sheds national agent network, Bay Rural Supplies provides premium quality sheds made using quality Australian BlueScope Steel. Our superior buildings use a minimum of 450 MPa galvanised steel available in both COLORBOND® and ZINCALUME® sheeting profiles. 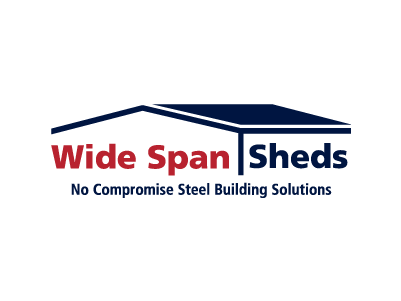 To give you complete peace of mind, when you shop locally with Wide Span Sheds we guarantee once you have paid for your shed in full, you will receive your new steel structure complete with no damage.